Looking for... Orlando Singles Events, Orlando Singles Dances, Orlando Speed Dating, Orlando Singles Groups, Orlando Singles Activities, Orlando Singles Resources, Orlando Singles Networking Opportunities, Singles Dining Clubs, Events for Christian Singles, Jewish Singles and Mature Singles in Orlando, Orlando Singles Parties, Opportunities to Meet Singles, Find Clubs and Dating Sites, Social Events for Singles in Orlando, Local Singles Dating Opportunities... Single Dating Sites... Single Women... 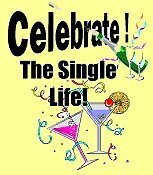 Single Men... and the Orlando Singles Dating Scene ... and are tired of Singles Bars and are looking for nightlife in Orlando... well, you’ve come to the right place. Whether you're a Single Woman or Single Man this is your gateway to Singles Events and Activities in Orlando. It doesn't matter if you're looking for Speed Dating in Orlando, or just plain old fashioned Singles Dining - Singles Dance or Singles Social Events... this is the place to come. You might even find organizations for Christian Singles, Jewish Singles, and Mature Singles... as well as Networking Opportunities... and a whole lot more. Isn't it about time you got out of the house and lived it up a little?... here's your chance! Social Club Orlando - Though not strictly for Singles, this group holds numerous events and invites you to come out and meet other Central Florida men and women, single or married who enjoy fun and want to experience all that the Orlando area has to offer. 20's and 30's Social Group - Though not strictly for Singles, this group holds such events as: bowling, mini golfing, movies, hitting up the theme parks, going to local area festivals, concerts, sporting events, etc. Single Boomers - This group is for designed for Boomers who just want to have fun and are looking for new adventures. Events include cruises, dances, concerts, walking, talking, eating, game nights, movie nights, taking short trips in the area. Outdoors and Active, Inc. - A non-profit group of Orlando area professional singles that enjoy outdoor and indoor activities.